Telit has announced that it will be among the world’s first providers of IoT modules based on the recently announced Qualcomm 9205 LTE modem. The highly compact chipset will enable Telit to meet booming demand for ultra-small modules for applications such as wearable medical devices, fitness trackers and industrial sensors as well as deliver 3GPP Release 14 functionality for the first time in its portfolio. The first Telit products based on the Qualcomm 9205 LTE modem include the new xE310 family of LTE-M and NB-IoT modules. As one of the smallest form factors available in the market, according to Telit, the new form factor family includes support for 2G fallback and GNSS location technology. Telit’s new xE310 form factor is based on a single LGA pad layout supporting multiple module dimensions from ultra-miniature single mode NB-IoT variants for global applications, to larger versions supporting multi-mode multi technology packaging. 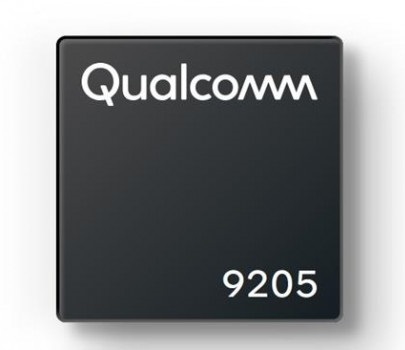 Telit says it will also apply the Qualcomm 9205 LTE modem in new members of the ME910x1 and xL865 module families. 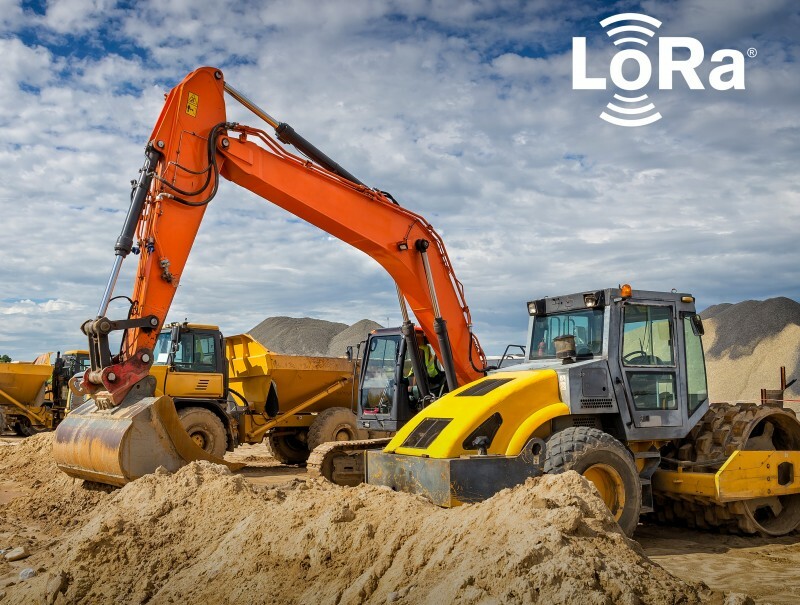 The new xE310, xE910 and xL865 products are designed for future-proofing existing IoT applications on the road to 5G. Telit IoT modules based on the Qualcomm 9205 LTE modem will be available for sampling in H1 2019. 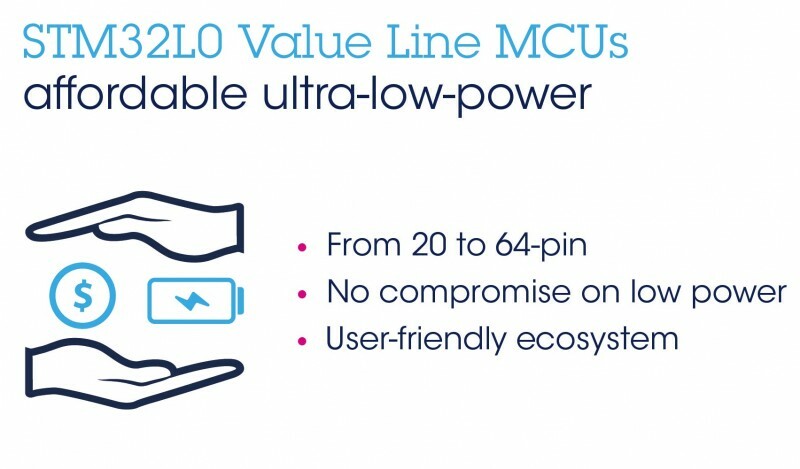 STMicroelectronics has released its STM32L0x0 Value Line microcontrollers that provide an additional, low-cost entry point to the STM32L0 series The MCUs embed the Arm Cortex -M0+ core. With up to 128 KB flash memory, 20 KB SRAM and 512 byte true embedded EEPROM on-chip the MCUs save external components to cut down on board space and BOM cost. In addition to price-sensitive and space-constrained consumer devices such as fitness trackers, computer or gaming accessories and remotes, the new STM32L0x0 Value Line MCUs are well suited for personal medical devices, industrial sensors, and IoT devices such as building controls, weather stations, smart locks, smoke detectors or fire alarms. The devices leverage ST’s power-saving low-leakage process technology and device features such as a low-power UART, low-power timer, 41µA 10 ksample/s ADC and wake-up from power saving in as little as 5µs. Designers can use these devices to achieve goals such as extending battery runtime without sacrificing product features, increasing wireless mobility, or endowing devices like smart meters or IoT sensors with up to 10-year battery-life leveraging the ultra-frugal 670 nA power-down current with RTC and RAM retention. The Keil MDK-ARM professional IDE supports STM32L0x0 devices free of charge, and the STM32CubeMX configuration-code generator provides easy-to-use design analysis including a power-consumption calculator. A compatible Nucleo-64 development board (NUCLEO-L010RB) with Hardware Abstraction Layer (HAL) library is already available, to facilitate fast project startup. The STM32L0x0 Value Line comprises six new parts, giving a choice of 16- KB, 64- KB, or 128- KB of flash memory, 128-byte, 256-byte or 512-byte EEPROM, and various package options. In addition, pin-compatibility with the full STM32 family of more than 800 part numbers offering a wide variety of core performance and integrated features, allows design flexibility and future scalability, with the freedom to leverage existing investment in code, documentation and tools. STM32L0x0 Value Line microcontrollers are in production now, priced from $0.44 with 16-KB of flash memory and 128-byte EEPROM, for orders of 10,000 pieces. The unit price starting at $0.32 is available for high-volume orders.